Location close to the sea, nice, clean rooms and quitness made my holiday better. Very kind staff, Angelina and her family were lovely host for our entire stay. Many thanks, definitelly a place to come back. Angelina and his son are really nice persons, making you feel home. 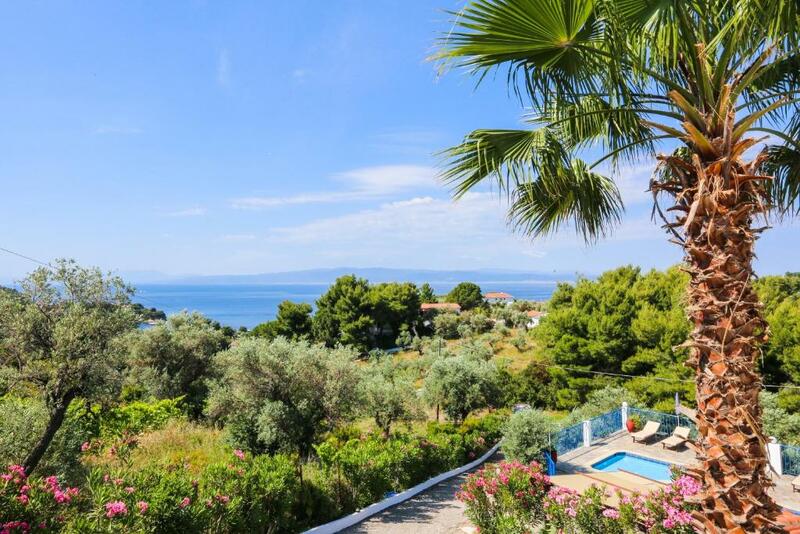 The house is wonderful, rooms are large and bright with pool and sea view balconies (every room has both views). Flowers, trees, silence and peace because the house is located not directly on the street but in a quiet place, although it is only 5 minutes (walking distance) from the street and from Kolios beach; quiet bars, a supermarket (also for fruit) and a good sea view restaurant in the very surroundings (less than 5 minutes walking). We spent wonderful days, every day reaching a new beach by scooter and then coming back home spending a couple of hours in the swimming pool waiting for the sunset. After the sunset, we used to prepare a greek salad in our kitchen and eat on the balcony. Wonderful place, warm-hearted persons and perfect karma! Angelina was lovely and both Angelina and her son are very welcoming. Angelina is a wonderful host. The apartments, pool etc are spotlessly clean. The views are lovely and it is very tranquil and quiet and you can walk to all the facilities you need. La disponibilità e la gentilezza dei proprietari. Ci hanno trovato un quad a noleggio con consegna direttamente nella struttura. Angelina è una bravissima persona, ci ha portato 2 fette di torta fatta da lei e sempre disponibile quando avevamo delle richieste. Posizione perfetta per chi cerca la tranquillità totale. Die Vermieter waren sehr freundlich, und sie sprechen gut Deutsch! Der Pool wurde morgens immer gereinigt. Die Getränke an der Poolbar waren gut gekühlt! ( Bier ) Die Matratzen im Zimmer sind von guter Qualität! Wenn man die Ruhe im Urlaub schätzt kann man sie hier finden! Posizione in collina con vista mare e in mezzo al verde. Silenziosa. Camere spaziose con letti molto comodi, condizionatore, angolo cottura, area giorno con divano e tavolo e comodo terrazzino con tavolo per far colazione o mangiare all aperto. Asciuganani e lenzuola cambiati ogni 3 giorni, pulizie giornaliere. Bella piscina con bar utilizzabile dalle 9 al tramonto. La struttura é comoda per raggiungere tutte le spiagge dell isola ed é vicina a ristoranti e supermercati. Serve avere un mezzo però visto che si trova a circa 1km dalla strada principale dove fermano gli autobus ed il percorso é in salita con ultimi 150 m molto ripidi. Sicuramente un bel posto in cui tornerei. Am putut prelua camera inca de la ora 12 si am beneficiat si de check out la ora 13.00. Curatenia si linistea. Amplasarea proprietatii la mijlocul insulei si implicit distante cam egale fata de toate plajele. Lock in a great price for Angelina Studios – rated 9 by recent guests! 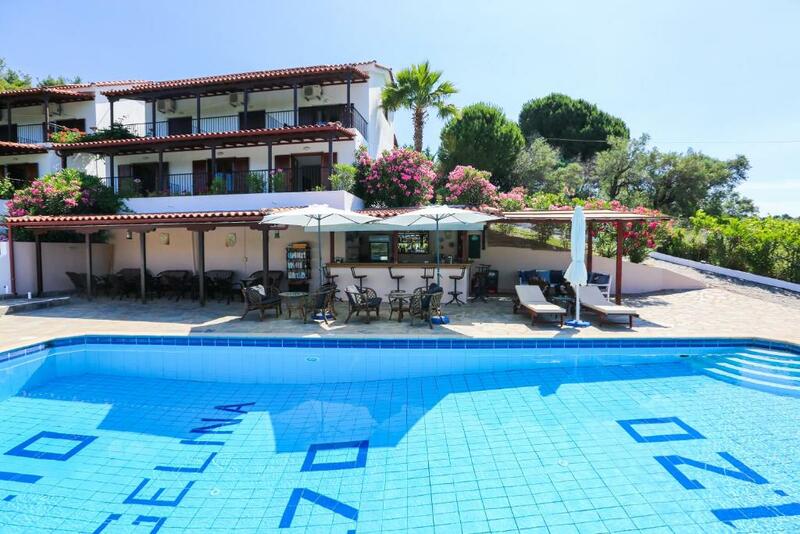 Angelina Studios is in Kolios Beach, a 4 miles drive from the port of Skiathos. It offers an outdoor swimming pool, and a separate pool for children. The sea-view rooms are surrounded by pine trees. Each is air conditioned and features a sitting room with TV and a kitchenette with fridge. Free internet access is provided. The outdoor swimming pool is provided with lounge chairs. 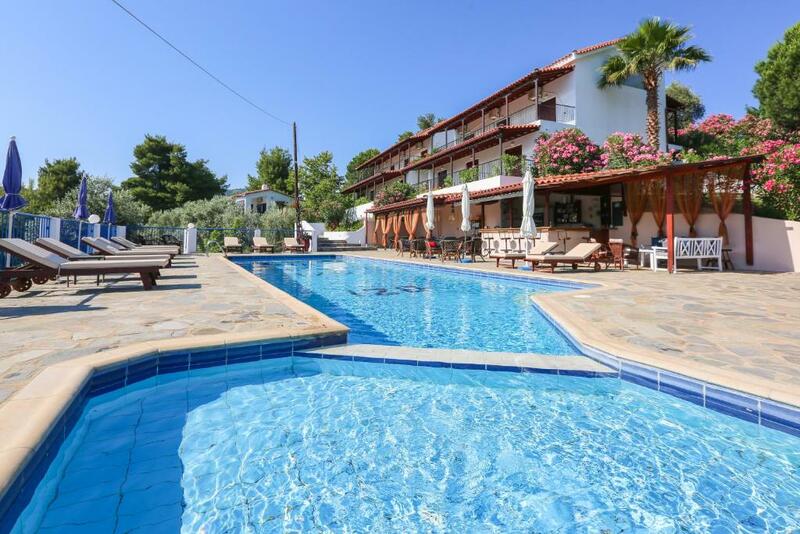 The hotel offers 2 bars, one of which is next to the swimming pool. Car rental service is available through the front desk. 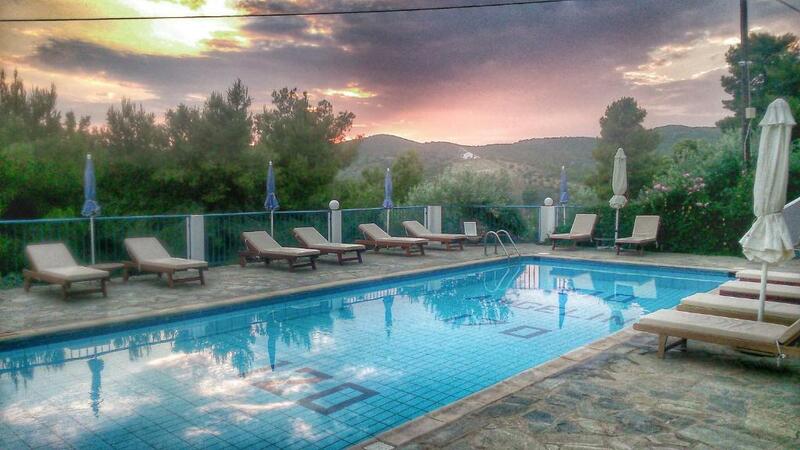 This is our guests' favorite part of Kolios, according to independent reviews. 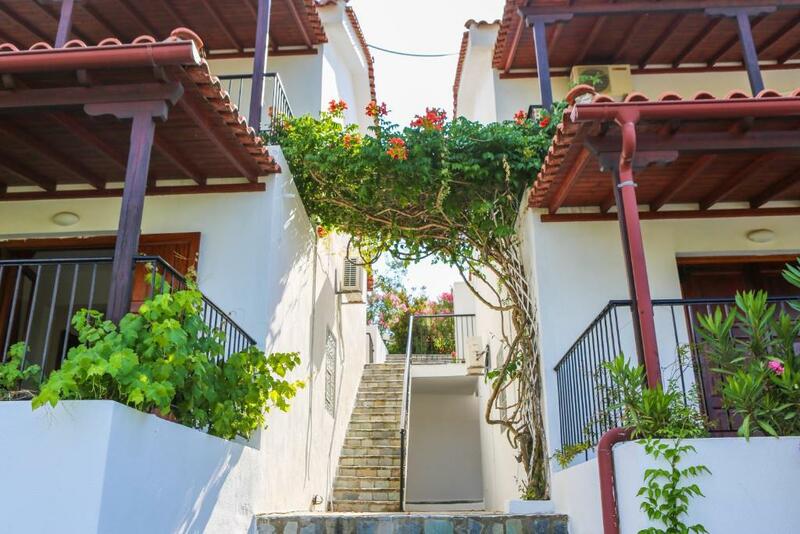 This property is also rated for the best value in Kolios! Guests are getting more for their money when compared to other properties in this city. 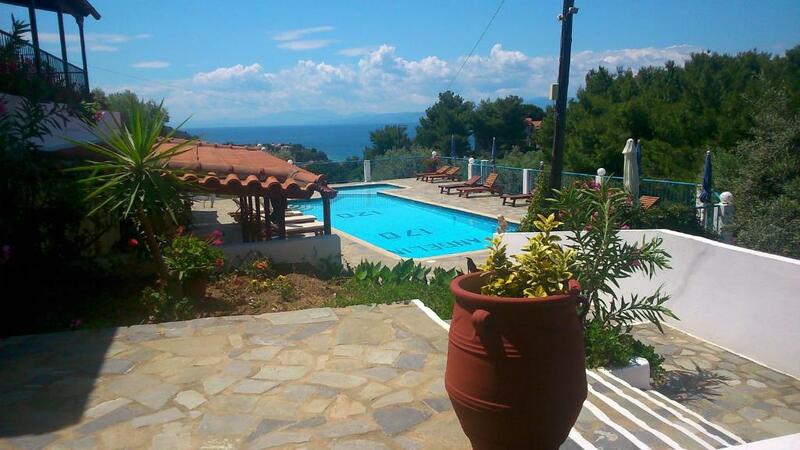 뀐 Located in the top-rated area in Kolios, this property has an excellent location score of 8.4! When would you like to stay at Angelina Studios? This studio has 1 sofa bed and 1 large double bed. 2-level apartment with a living room and kitchen on the first floor and a bedroom on the upper floor. House Rules Angelina Studios takes special requests – add in the next step! Angelina Studios accepts these cards and reserves the right to temporarily hold an amount prior to arrival. The hill up to the apartments is steep but it’s definitely worth the walk. We did not hire a car and it was not a problem because local buses are good and all facilities, including the beach, supermarket and tavernas are in walking distance.